A South Burnett man has been airlifted to hospital, after he was bitten by a snake. The RACQ LifeFlight Rescue chopper was called to a South Burnett hospital, just after 1pm yesterday, to retrieve the sick man. It's believed he was walking on a private property, when he was bitten on the lower leg, yesterday morning. 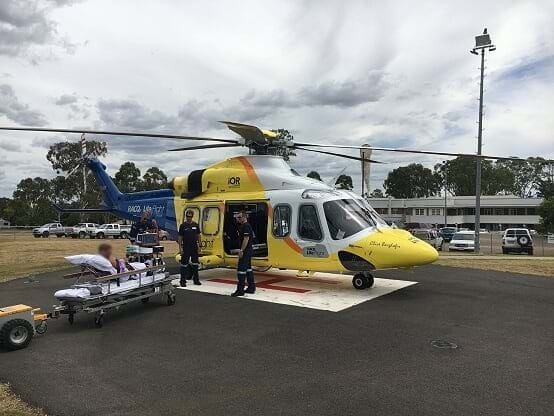 The species of snake is unknown, but RACQ LifeFlight Rescue's Critical Care doctor says there are clear bite marks on the man's leg. He's was flown to the Princess Alexandra Hospital in a stable condition. It's the third snake bite patient crews have treated this week with other snake bit incidents happening on Sunday and Tuesday.